Helllooooo and happy Friday afternoon to you. It's been quite a week here in our little old household. For the first time since last August we've been back in the work routine big time, up and out at 7, Oli off to work, me the taxi service and then home and ready to start myself by 8. I've got through more to do's this week than I had planned which is great and today I've got that real Friday feeling. Pooped :-) However the sound of the hover and Oli cleaning his room is music to my ears :-) He's definitely had a good week. 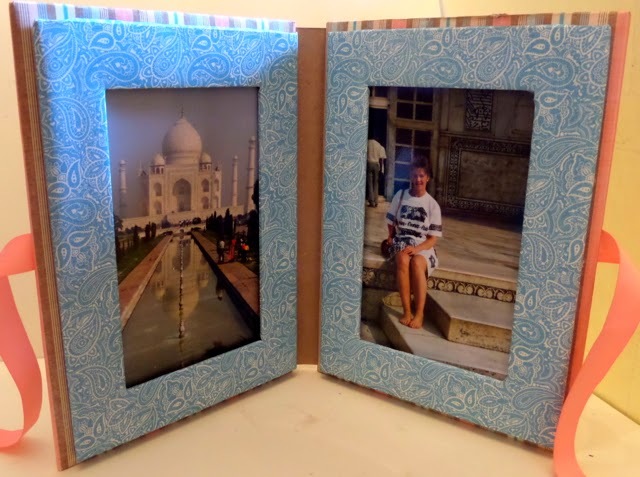 As I've been ticking things off my list I've been making some samples for the Create and Craft TV shows I'm guesting on in August and found some very old photos to use in my Come Away with Me picture frame. Yes, that's a very young me sitting on the steps of the Taj Mahal, India just in front of the smallest arch you can see in the picture on the left. What a truly romantic place We spent three weeks touring India just before Oli was born and I'd like to go back . What a truly amazing country and one I've always wanted to go back to. One day I will. So WATS on this weekend. 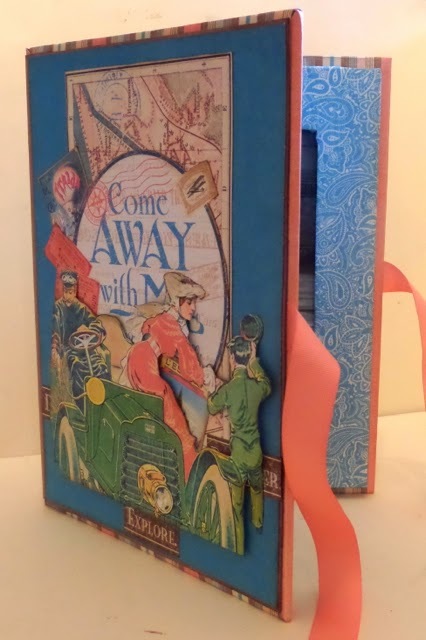 Well, I'm off to join in the fun at Pink Tulips Grand Crafting weekend, where I'm hosting a couple of workshops and making the caddy's below, available as kits over on our website. The guys from Visible Image are also hosting stamping workshops. If you're free and can come along and join in the fun, workshops start at 10am and 1.30pm. There's demos on all day and loads of special offers and fabulous products to tempt you too. Sunday it's Roy's turn to host a Tarmac technique workshop. I'm going to sit in on that one and learn all the amazing techniques. I'll share what I make with you all next week. The link to the shop and contact details are above. 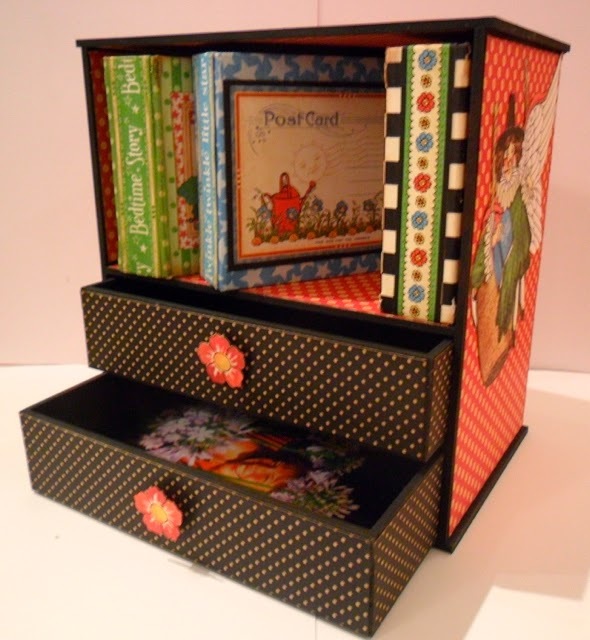 I'm off to host more workshops next weekend at Daisy's in Bedworth where we're altering the A5 box with drawer Come Away with Me style and A By the Sea shadow box and then I'm off down to see the wonderful Wendy and her ladies at the Stamp Attic for a Mother Goose inspired workshop full of miniature albums and vintage nursery rhymes. There's one or two places left for this one, so give Wendy a call if you'd like to come along and join in the crafty mayhem. I'd love to see you. Your work is gorgeous and a true inspiration!